The lion statue at the Art Institute of Chicago was draped in a giant wreath on Nov. 27, 2015. 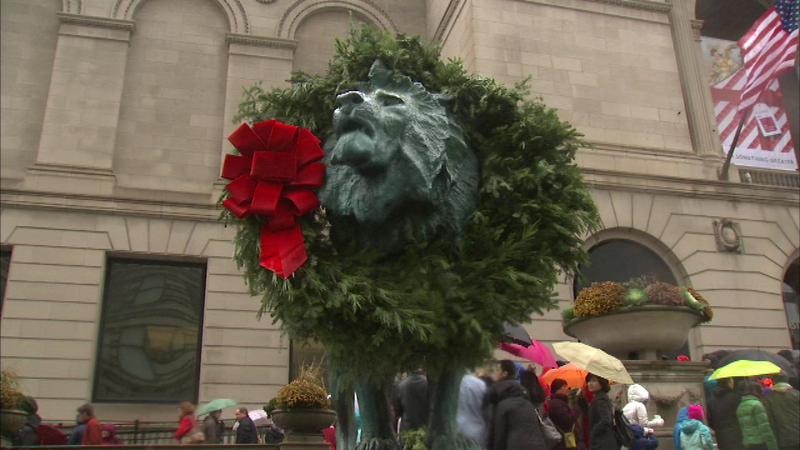 CHICAGO (WLS) -- The annual wreathing of the lion statues outside the Art Institute of Chicago continued for the 24th year on Friday. The iconic lions were draped in giant evergreen wreaths, with a red bow, during a morning ceremony. During the ceremony, which begins at 10 a.m., there will be music and free hot chocolate.